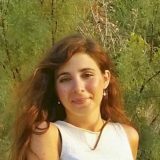 Dina received her BSc in pharmaceutical engineering from the Jerusalem College of Engineering, and her MSc in pharmaceutical sciences from the institute of drug research in the Hebrew university. Dina joined the lab of Prof. Haick in 2017. She is a PhD student of the Norman Seiden International multidisciplinary graduate program in Nanoscience and Nanotechnology.